The hot Summer days are set to continue so I’ve started listening to Christmas songs to cool down my mind at the very least. Winter songs always sound great to me… perhaps even more so in Summer! 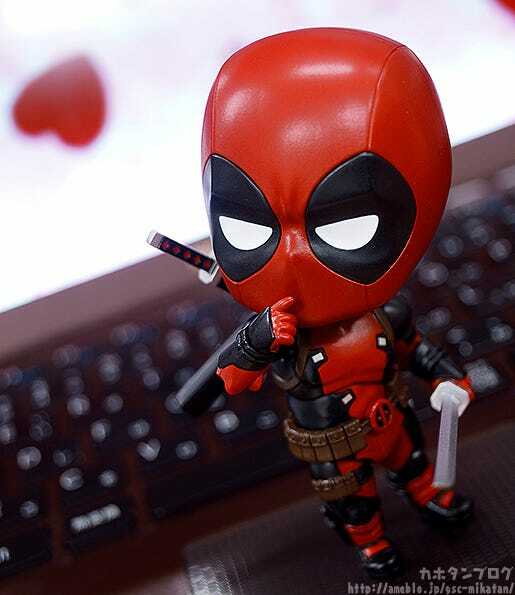 From the movie ‘Deadpool’ comes a Nendoroid of Deadpool himself! 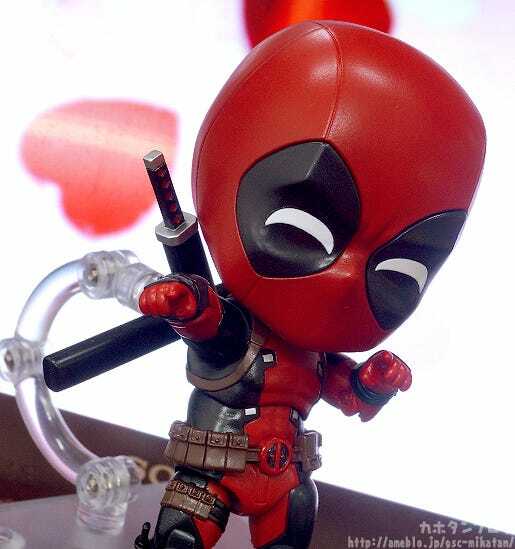 His outfit has been shrunk down into a cute Nendoroid figure which comes with a variety of different expression patterns which can changed by swapping out the left and right eyes separately! 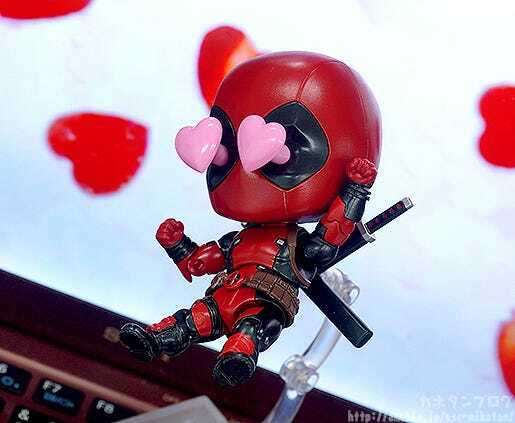 He even comes with parts to display him with hearts popping out of his eyes! 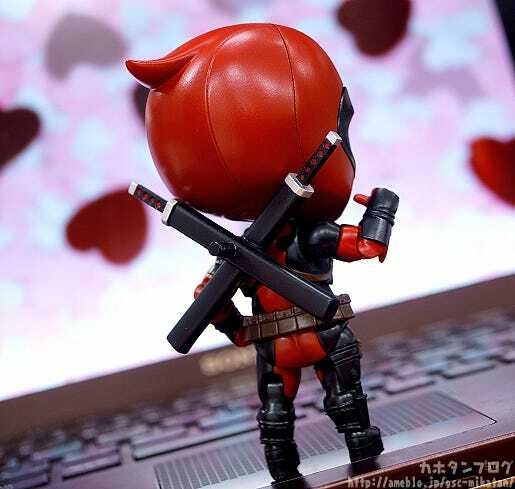 Deadpool is joining the Nendoroids! Even the slack part at the top of his head has been faithfully sculpted! 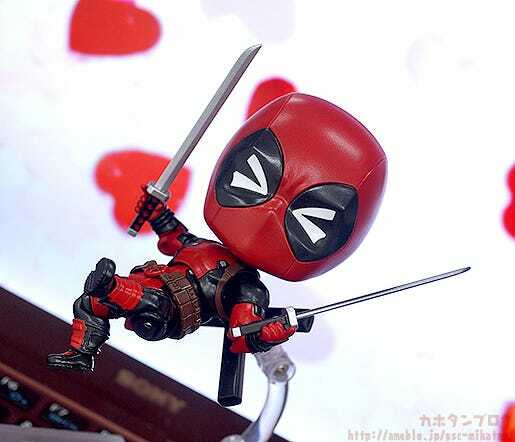 His katana can also be removed from the scabbards and held in both hands! 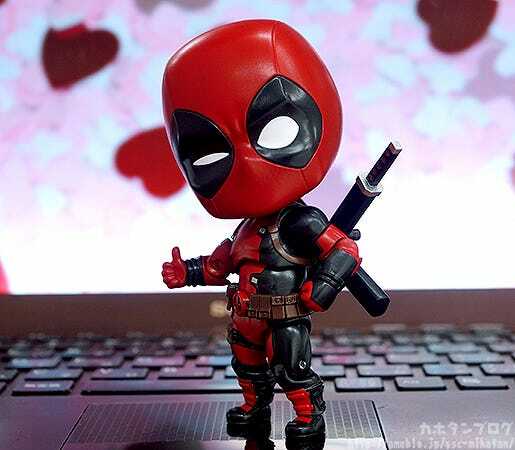 He also comes with various hand parts including thumbs-up parts, clenched fists and even this hand with his index finger pointed out! ▲ This hand can be used for all sorts of different poses! ▲ This could also be used for so many different scenes! 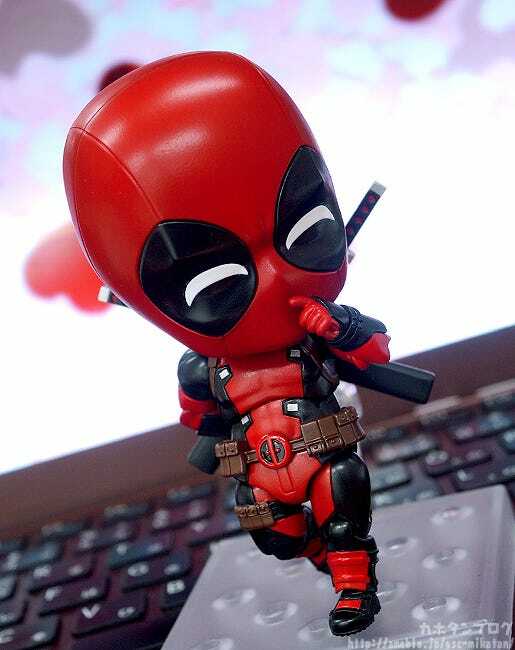 Plus as it says in the product description, the figure can stand all on his own if you balance him carefully! Great to take out with you and take photos! ▲ The way he has his finger to his lip gives him a rather covetous appearance! 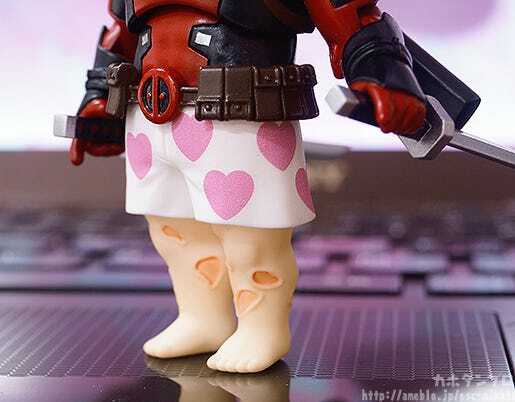 ▲Here we have a cute winking Deadpool! 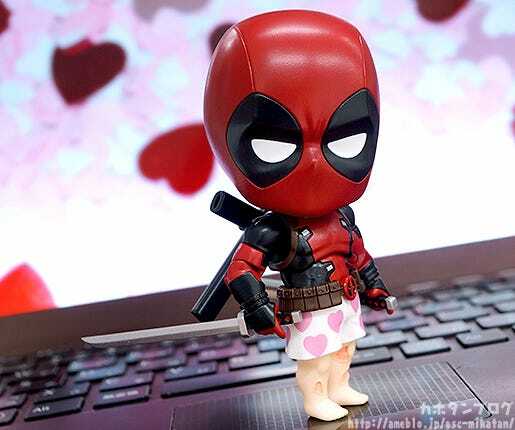 The detail on both the pattern and flow of the fabric of his underwear as well as the appearance of his legs have all been very intricately sculpted! ▲ A special base to hold the speech bubbles is also included! 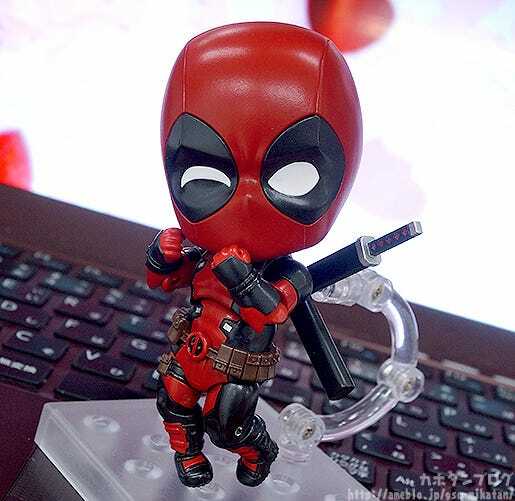 Add a rather adorable Deadpool to your collection! This product will also be “Made in Japan” at Good Smile Company’s Lucky Factory in Tottori, Japan!